Property Preservation is a term used to refer to the mortgage field service industry. Some people will tell you that it also refers to foreclosure cleaning but those of us actively working in this industry know that there’s so much more involved than cleaning. We’ve all been hearing about how much money everyone can make by starting a Property Preservation business and all we need is a broom and some cleaning supplies and that’s it. Well folks, I have been self-employed for 20+ years and the last 10 years I have been running a Property Preservation and REO Rehab company. And I have to say that I have made more money in the past 2-3 years than I did in the previous 12-13 years combined. But please listen to the next statement I’m going to make very carefully, because it is VERY important. In reality, 80%-90% of everybody jumping into this business within the last few years have not even lasted one whole year! Yes it’s sad but true. How do I know? 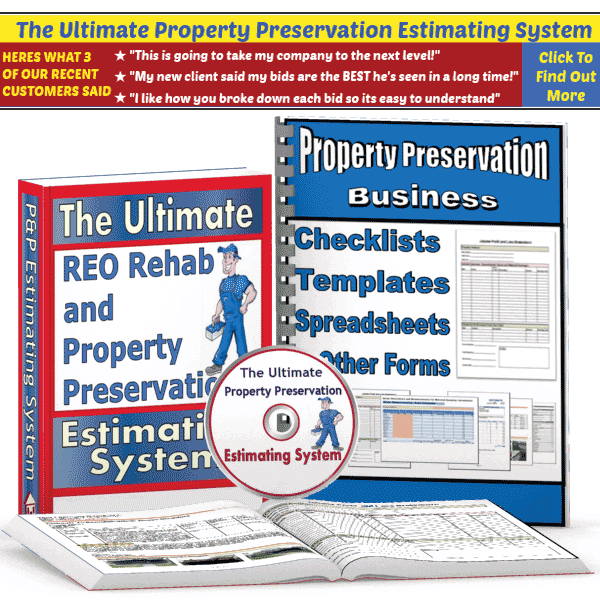 Because not only have I been working in this industry but I have also been keeping an eye of a few of the forums that are dedicated to Property Preservation. Additionally, I have a few friends who hold ‘higher up positions’ at a couple of this industry’s leading companies and we’ve discussed this particular situation on numerous occasions. The best part about this business is that once you have a couple clients, you don’t have to advertise any longer to find new work because it will come in automatically, like clockwork. 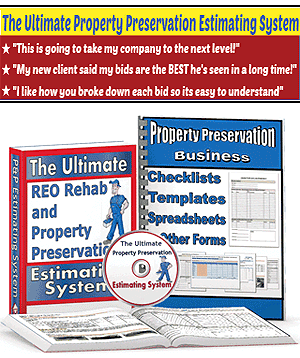 The most important advice that I could share with anyone out there who is wondering, “what is property preservation all about” is this: You need to get involved in completing the REO Rehabs and/or Property Preservation repairs directly for the national servicing companies. If you are extremely savvy and have a decent amount of operating capital saved up then perhaps you might even consider acquiring experience by working as a subcontractor of someone who works directly with one of the national servicing companies. But only if you have the above two qualities.